Some of you will be well aware of this, others will be thinking 'Oh yeah? What about the ones that dry up, they've gone bad so you're WRONG!'. Well it turns out we are both wrong and right. Nail polish that dries up and thickens is kind of bad, it's super difficult to work with and never looks nice on the nails but it's not bad in the way an old mascara gives you an eye infection or an old lipstick gets that smell, those products are really bad, they need to go in the bin. Nail polish is different, when it thickens it is essentially dehydrated, it's lost all those good fluids that keep it smooth and free flowing. It's not expired it just needs you to rehydrate it. Some nail polishes have a little symbol on them that show their recommended life span, it's usually about 3 years but really these are redundant. Bacteria can not live in nail polish, the solvents are too harsh for anything to live in there, so why throw them out? Unless it's empty it's still a perfectly good polish. If you're wondering about how revolting things get passed on at nail salons if the polishes can't carry bacteria; it's the tools and soaking baths, they aren't sanitised properly. I have thrown away countless polishes that have become thick and gluggy, in the early days of throwing them away it was because I didn't know there was a way to fix them, more recently they have gone in the bin because I didn't have the right product to revive them. Some people report using nail polish remover to thin out nail polish and I've done it myself in the past but essentially nail polish remover is a different combination of solvents compared to those found in a nail polish and over time it can effect the quality of the polish, using a product that is designed to restore thickened polish puts back all the things it needs and omits the stuff in nail polish remover that breaks it down and destroys it's structure. So I was at a trade store that I knew stocked some of the Seche range and I was having the mental discussion over whether I should stock up on Seche Vite when I spotted a new section on the display rack, it was holding a lovely row of Seche Restore and I nearly peed my pants with excitement. Seche restore is one of those products that revives old polish without slowly destroying it but it is just a little different to some other similar products on the market. This one contains Toluene and this is one of the 'Big 3' that some like to avoid in nail polish, personally I don't worry about it. Another thing that makes this a little different is that when you add it to an old dried up polish it will not only restore it but also make it quick drying, don't ask me exactly how it does it, obviously the ingredients are doing something magical but it's damn handy! Ok now lets get on to demonstrating this stuff. Right so you can see this polish has seen better days and when I tried to paint it on my nail it was so thick that it changed the shape of my nail edge. Using the eye dropper that comes with the product you dispense a small amount of product in to the dried up polish, for this bottle I used quite bit of Restore since it was so thick, this was once a really pretty translucent, shimmery, pinkish purple polish. I find it's best to add a bit, give it a shake (or let it sit for a moment if it's really dried up before shaking and rolling around), check the consistency and repeat until the polish is restored to a normal consistency. If your polish is rock solid it's best to be really generous with the product and let it sit, checking every 10 minutes and giving it a shake, you can also use a toothpick to stir the product in and speed up the process. And there you have it, the polish is back to a normal consistency and good for use again. Everything, there is nothing about this product that I don't like. Not 3 Free - If you like to avoid them then this one isn't going to meet your requirements. I love this stuff and I wish I had managed to get my hands on it years ago. I remember back in 2012 I purchased some nail polishes off ebay, all of them were perfect except for one which was almost completely dried up, it looked gorgeous but I had to toss it out. I've got a few OPI minis which are in need of some TLC (the damn things thicken up really quickly) and now I don't have to worry about feeling like I wasted my money on them. A product like makes nail polish a product that you can use until the last drop is gone and I think that is fantastic. 4 comments on "Seche - Restore." It's definitely a product worth owning! OMG, thanks so much, Hayley. To think that I have thrown out so many polishes. I need this, stat! 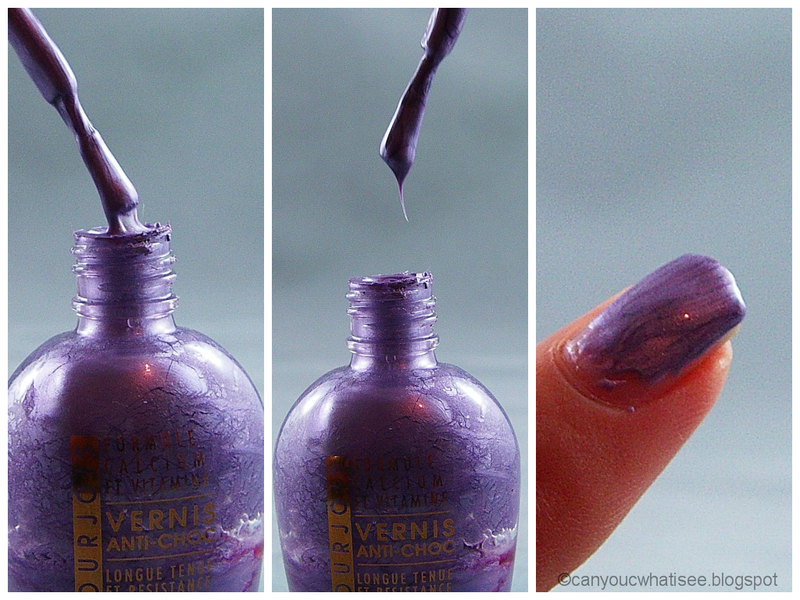 When I discovered that I had easy access to this product I mourned all the polishes I have thrown out over the years!